New software records Netflix perfectly every time. You’ll need two pieces of software that work seamlessly together – PlayOn and PlayLater. PlayOn acts as a media server on your computer. See my post here explaining what it does and how it works. 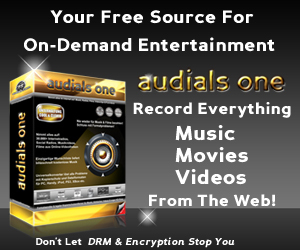 The short version is it feeds the services you already have – Netflix, Hulu, Amazon, etc. – to your TV through your game console, Logitech Revue Companion Box, or directly through your internet ready TV. There are also iPad, iPhone and Android apps to stream to your phone and portable devices. PlayLater is the software that allows you to record your services perfectly – without stutters or dropouts. And, it does it in the background. The services you use appear on the interface. Just click the icon, select the video you want to record, and it’s recorded aut0matically in while a status bar displays the progress. Additional details will be posted tomorrow – 4/11/12. If you can’t wait please follow the links above for more information. Updated! Replay Video Capture software makes it possible to capture Netflix video as it streams to your PC. The current Netflix streaming process won’t allow any software to capture Netflix video directly but you can record it as it plays on your screen. You’ll need to play the entire video you want to capture without interruptions or letting anything block the area you’re capturing. Download a free demo version of Replay Video Capture here. Try it, and if it works for you the cost to purchase a license is less than a couple of DVDs. The demo version of Replay Video Capture is fully functional and will allow you to capture up to two minutes of video. 1. 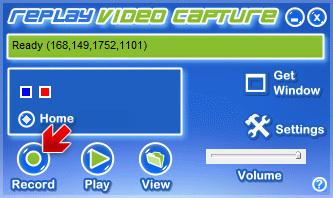 Download and install a copy of Replay Video Capture. You’ll also want to change your screen saver and sleep settings so that they don’t run while you capture Netflix video. Set them to delay about three hours – that’s more than enough time for most movies to fully run. 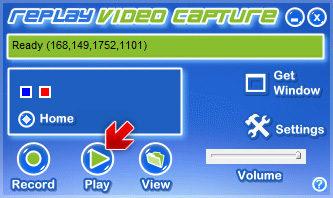 Replay Video Capture records everything that happens on screen in the selected area – including your mouse pointer – so if your screen saver activates or your computer goes to sleep it will capture it instead of the video you’re trying to record. You can capture your full screen and not show the Replay Video Capture interface by making the appropriate changes in the “Settings” panel. Open the “Settings” panel and pick the best “Recommended Setting” for your needs. As you get experience with it you can make custom settings. 3. Open Netflix and select the “Watch Instantly” video you want to record. Let it play and find a scene that clearly shows all four corners of the video and then pause the video. Click the “Get Window” button and mouse over the area of the screen you wish to record. The area will be highlighted with a green box. Click again when the window you want to capture is selected. Edit the size of the box with the square handles on the upper left and bottom right of the selection window until you’re only marking the live Netflix video area. 4. The setup is done in three steps and now you’re ready to capture Netflix video. Press the “Record” button and then quickly start playing the Netflix video you want to capture. When recording a video Replay Video Capture will automatically name the video download. 5. When the Netflix video ends you will stop the recording manually by pressing the “Stop” button (or you can set the maximum amount of time you want to record in the settings panel before recording). 6. To play the video click the “Play” button or click on the “View” button to see a list of all recorded videos. If you want to rename it, right-click and select “Change File Name”. Right-click on the video you want to watch then click “Play File”. All videos are saved to the folder you specify in the “Settings” panel. 8. Replay Media Capture can capture Netflix video and streaming video from thousands of other sites. Learn more about capturing streaming video with Replay Video Capture.